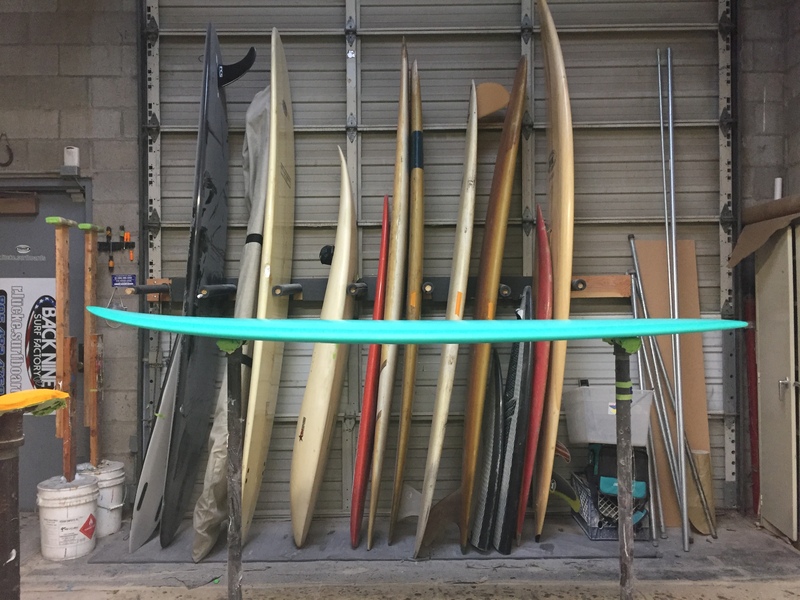 My Nomad shape is a mid-size “egg” shape heavily influenced by the speed egg shapes of Skip Frye and Donald Takayama. 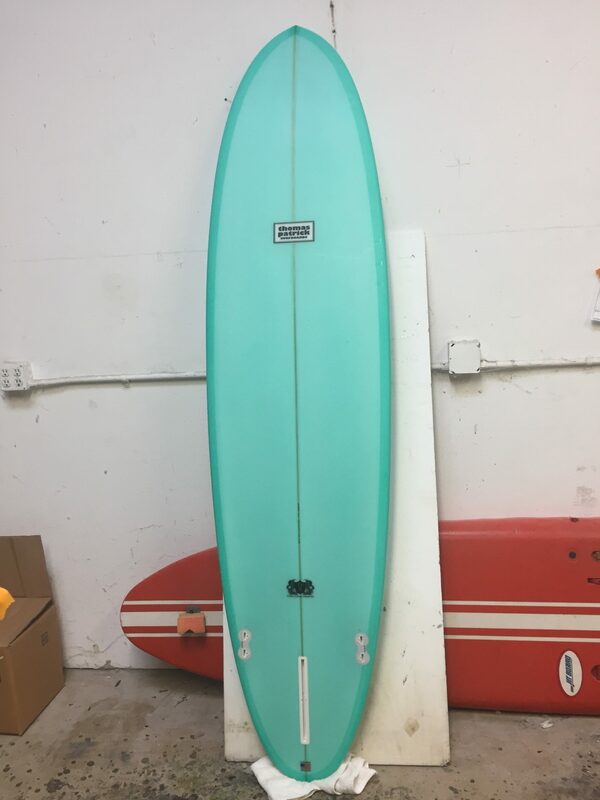 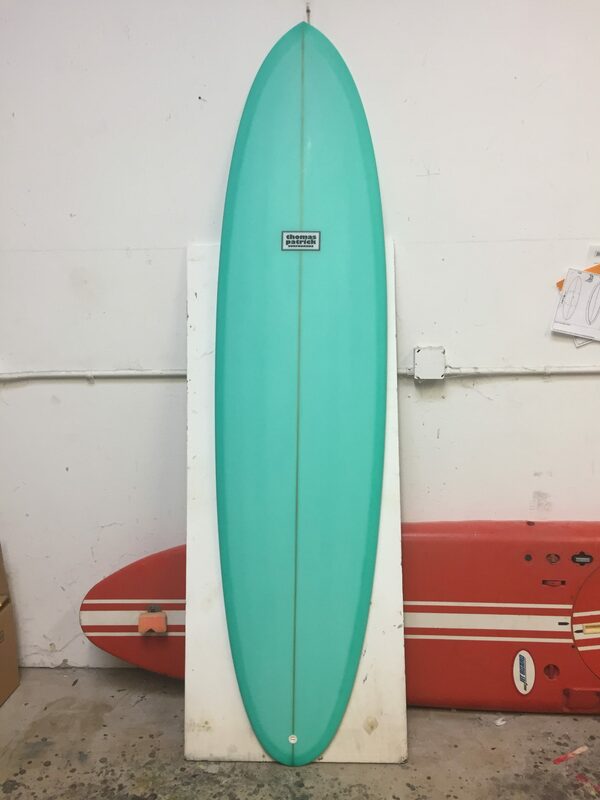 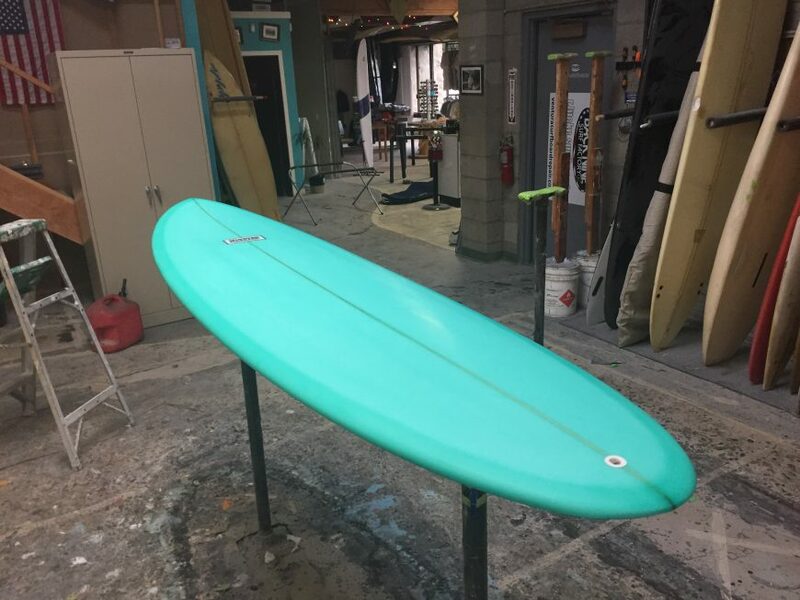 The dimensions of this particular board are 7’10” 16-3/4″ x 22-5/8″ x 15-3/4″ 3″ 56.5L The shape features foiled, 60/40 rails with no tucked edge, flat rocker, and slightly rolled bottom with shallow double-concave in front of the fin array and some V out the tail. 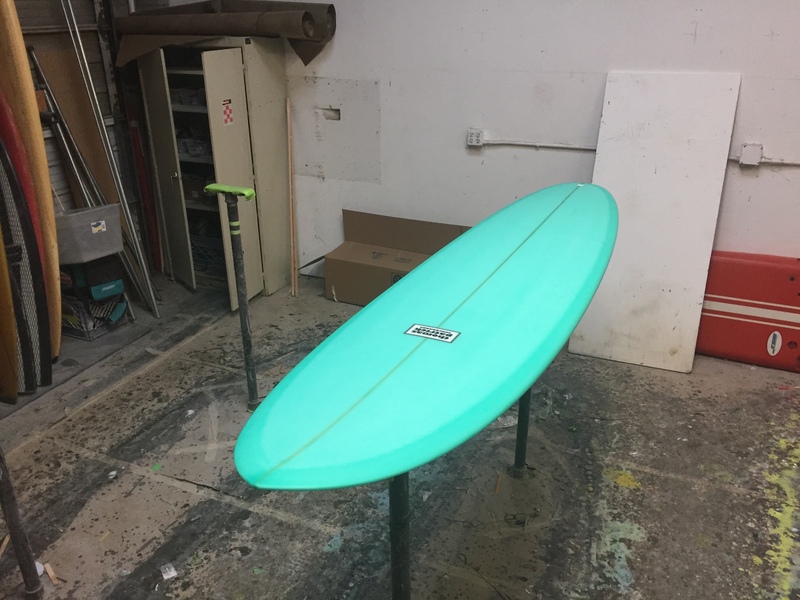 The Nomad is an extremely versatile shape and makes an ideal travel board.